On each level you are given an assignment, to react the number of balls stated by the goal parameter. How do you do that? By pressing the mouse (once) 4 shards will go from that point in the fallowing directions UP, DOWN, LEFT, RIGHT... You react a ball when the shards hit a GREEN, YELLOW or RED ball. When you hit a GREEN or YELLOW ball more shards appear starting a chain reaction. RED balls are no good, so try and stay away from them... if you can. Just pressing at random won't be enough to finish the game. Even dough you will not die, each try will lower your score given on each level. The challenge, in this kind of game, is to finish it, and even harder, to do that with a high score. Give it a try... Good Luck! Run, Jump and escape pit falls and lightning bolts while you avoid flying eyeballs shooting deadly lazers! Master the rocky tracks and destroy enemy soldiers and their vehicles! American-Russian relations depend on your skill as a pilot...and a gunner. Blast plans out of the sky and keep your country, your president and your airspace safe for democracy. A mysterious infection has broken out in a science lab. 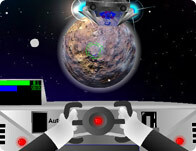 You're sent in to investigate in this platform shooter. Hit the balls you fire with another ball you fire, each ball requires 3 hits to remove from the play area and don't let any ball cross the bottom line or it's game over. Armageddon is upon us! Can you survive zombie hell?